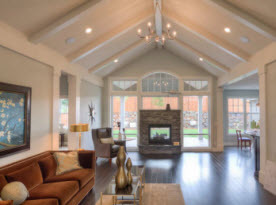 At Future Vision Remodeling, we are committed to providing our clients with a remodeling experience that combines professionalism, technical skill, and complete customer satisfaction. 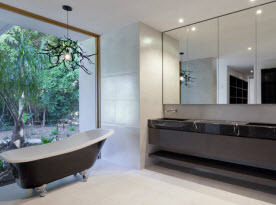 In fact our reputation is based on providing a premium remodeling and construction service using quality designs and products performed by master craftsman and artisans. 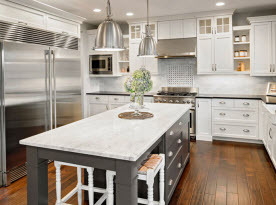 With over 14 years in the remodeling industry, you can be assured that you are in our capable hands during all aspects of your kitchen remodel from start to finish. Your kitchen is the heart of your home, and our designers and master craftsmen will work with you to design the kitchen you have always dreamed of. From modern, traditional, contemporary, or eclectic, we can bring your ideas to reality by selecting the right fixtures, cabinetry, backsplash, countertops, and hardware to fit your needs. 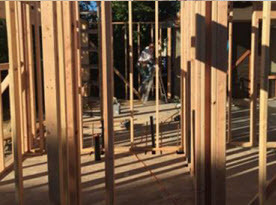 Future Vision Remodeling is an exclusive remodeling and design firm based in San Jose, CA. Our professional services include a design team, project managers and remodeling/construction specialists who work together to design and construct your new kitchen. Your design team will begin by building a computer generated kitchen using state-of-the-art 3D technology to allow you to visualize your new kitchen remodel. Once your design and budget have been agreed upon and approved, one of our experienced project managers will work with you to schedule construction. We also offer professional interior design services to ensure that your kitchen remodel has a consistent design that fits seamlessly with the rest of your living space. Our specialized 3D design process allows us to effortlessly reconfigure cabinets, appliances, walls, and more. We take the time to work with you to ensure that you are completely happy with the overall design before the construction begins. The process starts with a set of precise measurements to build a 3D model of your existing space. Our 3D model can aid in the selections of plumbing, electric and other important structural choices. Your choice of cabinets is by far one of the most important design decisions you will make during your kitchen remodel. Selecting the right door style and color is the focal point of the overall design. At Future Vision Remodeling, we not only offer custom cabinetry, we are also proud to work with some of the best kitchen cabinet manufacturers in the industry. Modern Kitchen Design: If you prefer a style with clean simple lines that is also functional, utilizing materials such as glass, chrome and concrete, consider a modern design for your inspiration. Some popular design elements found in a modern kitchen include farmhouse porcelain sinks paired with black granite countertops and chrome fixtures. Traditional Style Kitchen: A traditionally inspired kitchen combines cabinetry in rich chocolate tones paired with bronze hardware. Other traditional design elements include dark hardwood floors and a subway tile backsplash. Contemporary Kitchen Design: Our contemporary designed kitchens add a modern and polished appearance to your space by combining metals, plastic, and laminates. Our design team will create a customized contemporary design that your friends and neighbors will envy. Eclectic Style Kitchen: An eclectic design gives you the best of both worlds by blending an array of different styles and periods. The combination gives you a luxurious and elegant feel while also adding a unique and creative approach to your décor. For more information regarding kitchen remodeling and home improvements for your Greater San Jose, CA home, contact the knowledgeable experts at Future Vision Remodeling today! © 2017 Future Vision Remodeling. All rights reserved.